This needs to grow on me. 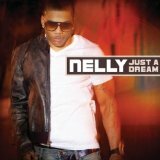 I like the lyrics but it seems all Nelly’s music sounds the same. It’s good to see him back in the game. This entry was posted in Soul Brother's Music Videos and tagged hip-hop, music, Nelly, r&b, video. Bookmark the permalink.